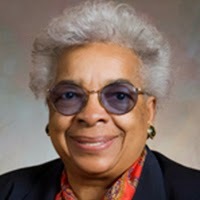 As the longest-serving woman in Wisconsin's Legislature, Mrs Williams deserves to be recognised. In her honour, 1752 members of that legislature will be recognised as such and, they will be known as politicians. Mrs Williams was an advocate of education for all kids. It is one of the things a Wikipedia articles is good for. It is not obvious how to indicate this in Wikidata. It is a bit strange to find that many American politicians do not have a picture to illustrate their articles. Given the absurd amounts of money involved, providing a few pictures of politicians would be a cheap gesture that would be appreciated.